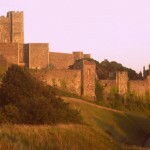 Dover Castle was founded in the XII century. Massive rebuilding took place at the end of the XVIII century during the Napoleonic Wars. Saint Astier® Natural Hydraulic Limes have been specified for the multi-million-dollar restoration, which began in early 2010.